Senecio is a very large genus with over 1000 species dispersed around the world. Some are lovely and some, like the groundsels and ragworts, are noxious weeds. Some, like Dusty Miller ( Senecio cineraria ), are tender perennials . This profile covers the succulents. There are about 100 succulent Senecios. Some are oddities and not really suited to the garden, but they are certainly interesting. There are some large shrubs, but many are small, either trailing plants or spreading ground covers. As with most succulents, they are very drought and heat tolerant and not very cold tolerant. Many Senecio species are toxic to animals. Use care and do not plant where animals or kids might be tempted to munch them. Leaves: The leaves are thick and fleshy and can be deep green, bluish or even striped. 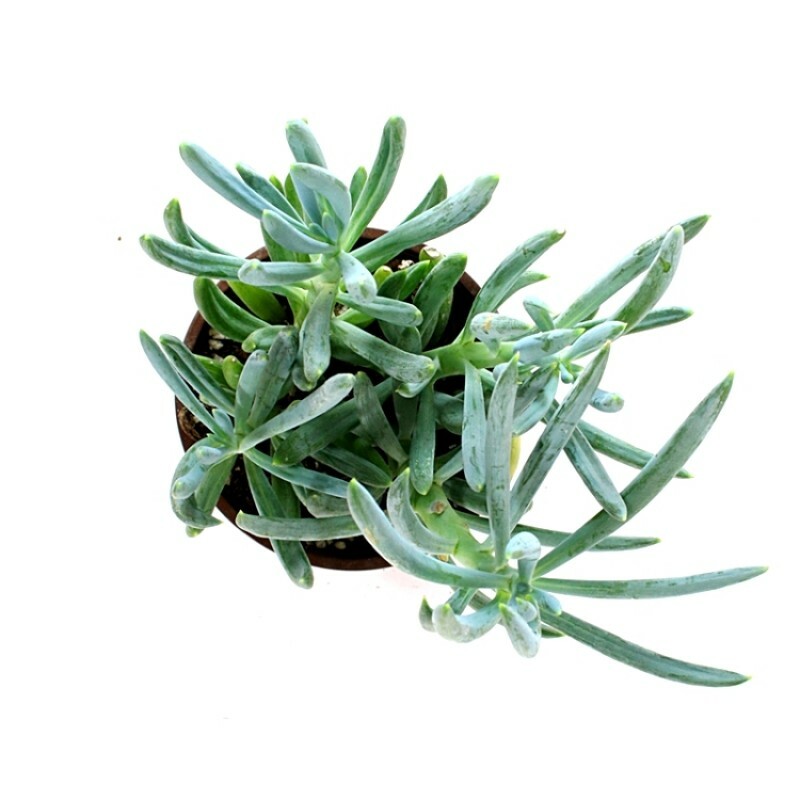 Senecio succulent leaves vary widely in shape. Some are round, some banana-shaped, some stand upright. Flowers: Senecio flowers form in clusters, on long stems. Different species bloom at times throughout the year. The flowers persist for weeks. Shapes include red or white spires and yellow daisy-like flowers, but it is really the foliage that interests most gardeners. There is no common name for the whole group of plants. Each species has its own common name or names. Most fall somewhere around USDA Hardiness Zones 9 - 11. A few can tolerate brief periods of cold or dampness, but prolonged exposure will turn them to mush. Most are low growing, under 1 ft. (30 cm) tall. Depending on species, they may spread out or trail down about 1 ft. (20 cm). 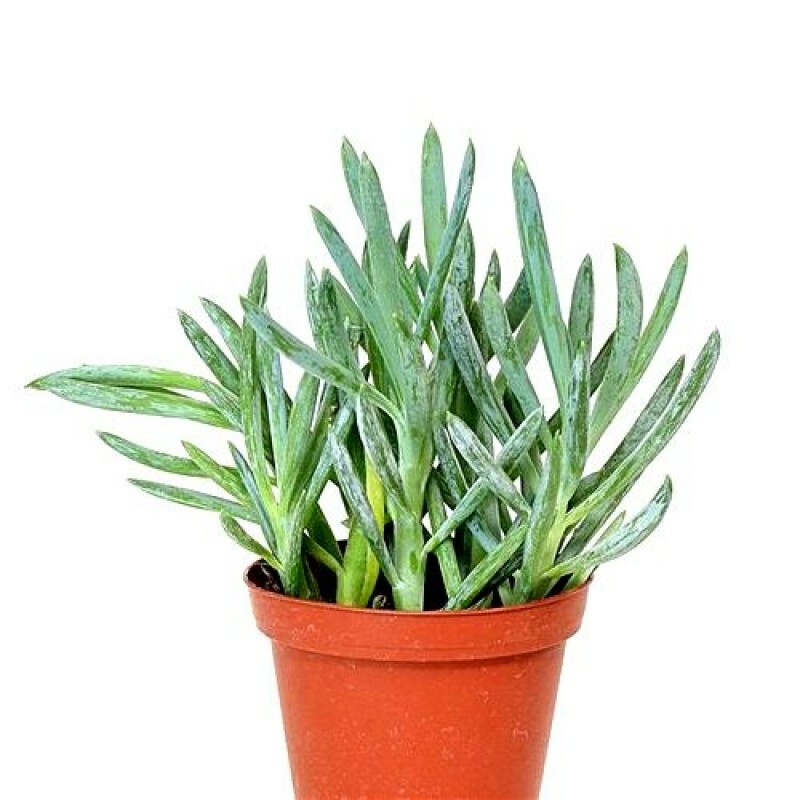 Senecio succulents are grown for their interesting shapes and leaves. They do bloom, at different times during the year, but not all of them bloom in cultivation as well as they do in the wild. plants height with pot is 9 inch and pot size is 3 inch diameter. plants nature is indoor-semi shade, watering once in 5 days. useful for gifts Plants, table top Plants, terrariums & fairy gardens. Best succulent with beautiful texture, hardy plant & low maintenance.